In March, I had the opportunity to speak at PEN®’s first webinar Producing PEN® Pros: 10 Tips and Tools to Power your Practice. I was honoured to have had the chance to spend an hour with dietitians taking time to invest in their own learning. Participants, including long-time PEN® users, told us that they walked away having learned about new features to help them use PEN® more efficiently, as well as new ways that they can use PEN® in their practice! Whether it is specific knowledge, a professional skill or a technical skill, there is unlimited growth possible for our minds. Purposefully feed your insatiable appetite for growth and learning on a regular basis. As has been said before, do something that scares you. These experiences can provide hidden learning opportunities. Draw from your current repertoire of experiences and skills as you venture into less familiar territory. When learning, we make ourselves vulnerable. “Every act of conscious learning requires the willingness to suffer an injury to one’s self-esteem. That is why young children, before they are aware of their own self-importance, learn so easily.” (Thomas Szasz). Recognize that this vulnerability is part of the learning process. Invest time to learn each day. Purposely surround yourself, physically or virtually, with people you perceive as smarter and with different skills than you. If you remain open, you’ll be surprised at what people can teach you, and how much you can learn. Remember that you, too, have gifts and talents that also contribute to the learning in others. Share your gifts and talents with others. Computers, social media, tablets and smart phones can be cold and impersonal. Behind the technology and gadgets are real people with passion, who genuinely care about their work. Make time to have a “human” contact with people with whom you have frequent electronic contact. I look forward to continued learning with you. In this issue of PEN eNews 4(6), we showcase dietitians as leaders in nutrition. We share two stories about dietitians in the media: Media in Australia: How DAA media spokespeople use evidence to boost their messages, and DAA advocacy in action: Response to controversial baby diet book Bubba Yum Yum which describes how the DAA took an advocacy approach using evidence to protect the health of infants. The Family Food survey: a UKs national treasure for identifying consumer trends and informing nutrition policy outlines trends in UK food consumption triggered by rising food prices. 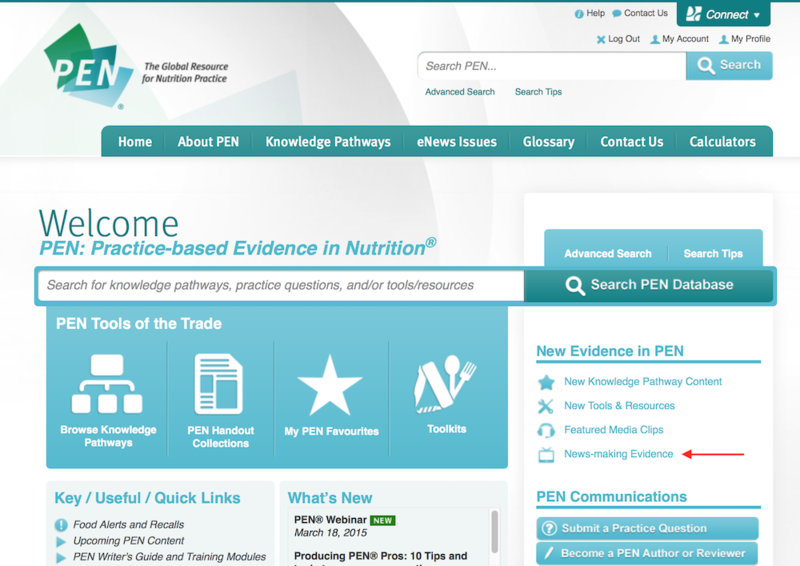 Finally, as we countdown to celebrating the September launching of PEN® 10 years ago (PEN@10), we invite you to reflect and contribute to a story Invitation to contribute: Most significant change in nutrition knowledge and dietetic practice in the past decade? All this and more in eNews 4(6). Invitation to contribute: Most significant change in nutrition knowledge and dietetic practice in thE PAST DECADE? This September, the PEN® Knowledge Database will reach a milestone – we have been supporting dietetic practice for 10 years! In celebration of this PEN@10 milestone, we are reflecting on what has changed in nutrition knowledge and dietetic practice in the last 10 years and we would like your help! In your opinion, what is the most significant change in nutrition knowledge and dietetic practice that has occurred over the last 10 years? What research or new guidelines have surprised you? 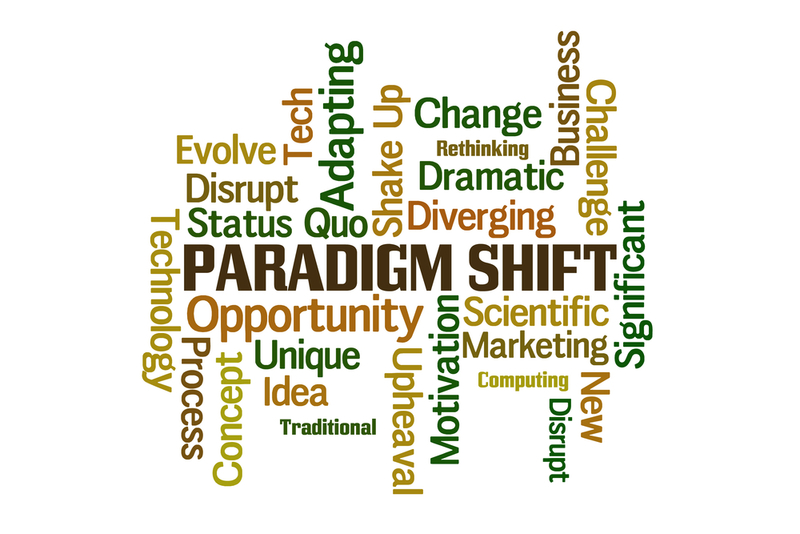 What societal or technological changes have impacted dietetic practice over the last 10 years? A brief description of the aspect of nutrition knowledge and/or dietetic practice that, over the last 10 years, has changed practice or that is noteworthy. Descriptions may include: what you think are the possible implications of this change, who might be impacted by this change, what opportunities are available to dietitians as a result of these changes (Sample format is available here). Please include supporting references. Your submission should include your name, credentials, contact information and country in which you practice or reside. As a thank you for your submission your name will be entered into a draw for one of two iPad minis! Submissions are due Tuesday, June 30, 2015. Submit to Kristyn Hall at eNews@pennutrition.com. We look forward to hearing from you. The PEN® Team is so excited about our latest feature – My PEN® Content Alerts. 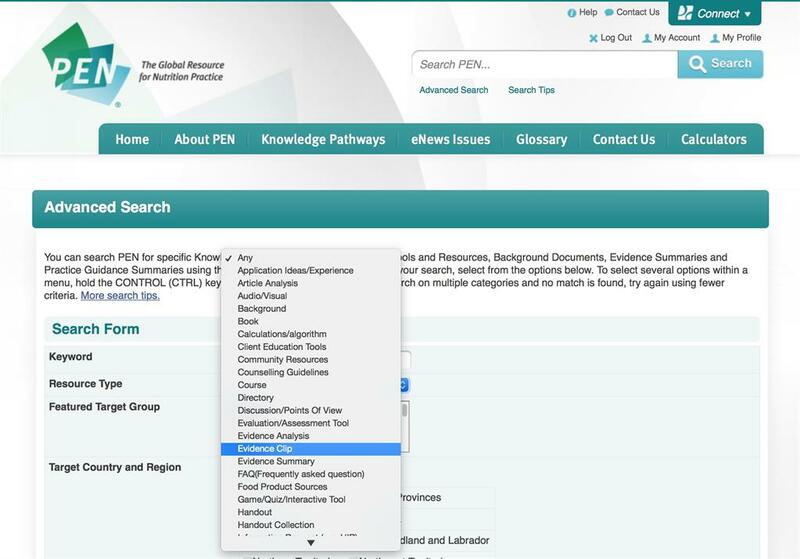 PEN® subscribers have often asked if they can be notified when certain knowledge pathways are updated. 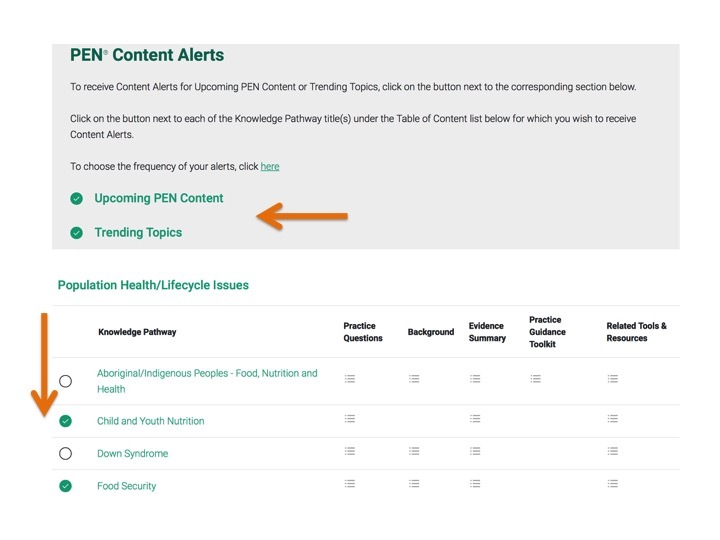 We do post updates in What’s New in PEN®, in PEN eNews and on the PEN homepage in the New Knowledge Pathway Content section, but these are just samples of the new and updated content in PEN®. There is so much more! Click on the empty circle symbol next to the knowledge pathway for which you wish to receive content alerts. You will see a green check mark next to the knowledge pathway. Click on My PEN Favourites and PEN Content Alerts scroll down to the Alerts section to set your preference for weekly, monthly or quarterly updates. You will start receiving the PEN® content alerts in the time frame you have indicated. 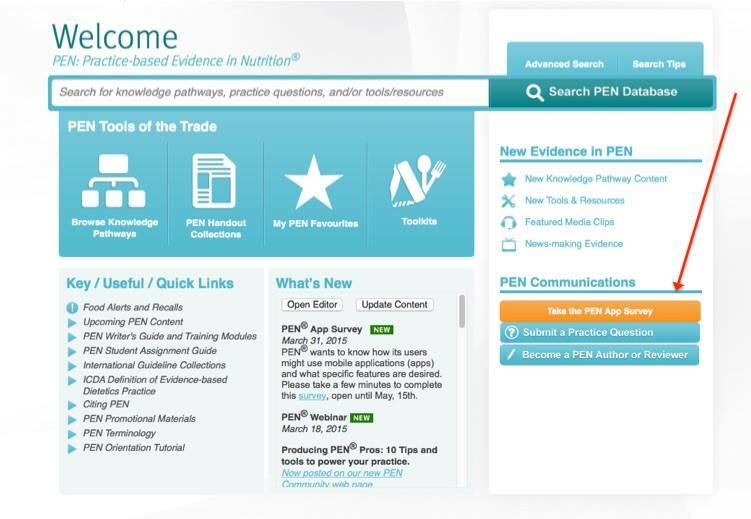 Below is a quick glance at some of the new and updated content in PEN®. Look for the new and updated symbols in PEN® to see more new and enhanced content! What is the role of diet in Helicobacter pylori prevention or treatment? What is the recommended dietary management of reactive (postprandial) hypoglycemia (RH)? Does coffee have a negative impact on the development of gastritis or peptic ulcers? Does coffee exacerbate symptoms in individuals with peptic ulcer disease? Can pollens other than birch pollen provoke pollen food syndrome (PFS) and if so which foods are associated with PFS? What is the evidence to support the use of cleanses (e.g. herbal products, detoxification diets, colon irrigation) to maintain bowel health, promote general health (including weight loss), and prevent colon cancer and other diseases? What is the recommended dietary management of late dumping syndrome? Is enteral nutrition an effective means of preventing stress ulcers in hospitalized patients? Can the ingestion of cranberry products (juice, tablets/capsules, dried cranberries, or cranberry seeds) help prevent urinary tract infections (UTIs)? When are electrolyte, mineral and fluid restrictions (i.e. sodium, potassium, phosphorus, fluid) required in adults with chronic kidney disease (CKD)? The Vitamin D Dilemma - How Much Should We Be Taking? : a Globe and Mail article, with DC and PEN® contributions. PEN® Evidence Clips provide concise information to give dietitians quick, accurate and timely information about nutrition topics that receive media attention. Evidence Clips consist of a brief overview of a topic and an analysis of the research around it. Practical take away information and recommendations are provided so dietitians can speak to these topics and deliver an informed and insightful response. 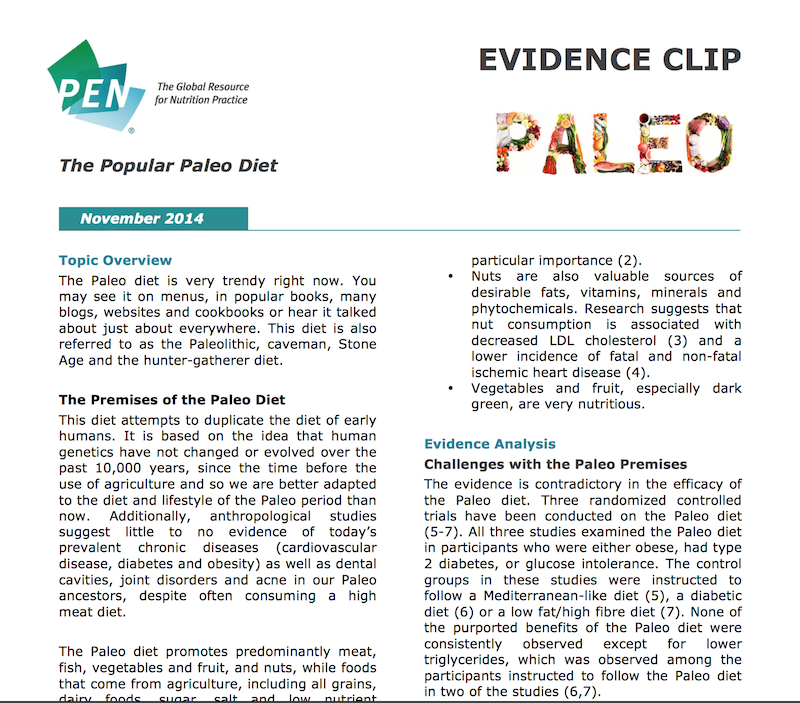 An example of a recent Evidence Clip that was published was on the Paleo Diet. New and recent Evidence Clips can be found under the “News-making Evidence” section on the PEN® homepage. Evidence Clips can also be found by entering the term “evidence clip” in the search field or by doing an advanced search and choosing “Evidence Clip” under the Resource Type section. A list of all the Evidence clips on PEN® will appear in the search results. 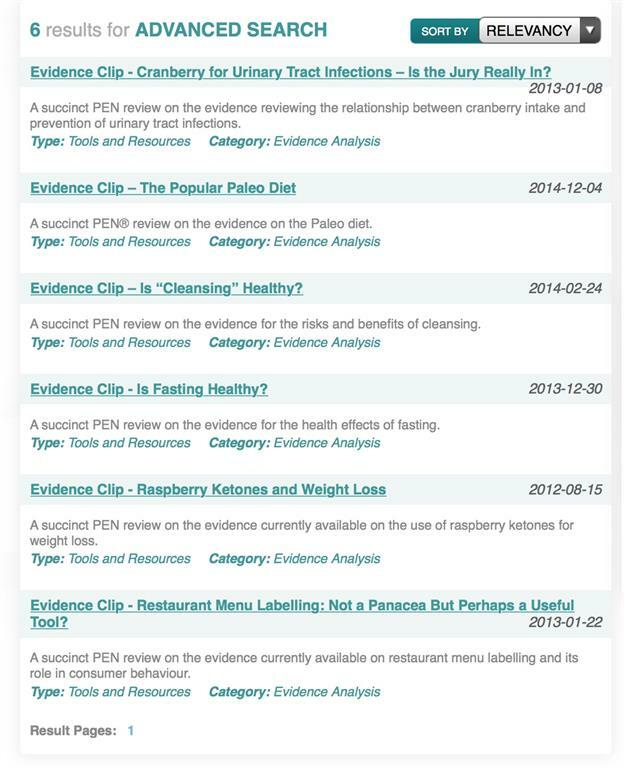 Evidence Clips continue to be added to the PEN® knowledge database in light of news headlines and popular nutrition topics. Be sure to check this section out for insightful information regarding trending nutrition issues. Is there a nutrition topic that you would like to suggest for an Evidence Clip? Contact Us with your suggestion. Since it began in 1999, the Dietitians Association of Australia (DAA) Media Program has grown and developed to now be a key part of the Association’s core business. In 2013 the media program had almost 700 contacts from journalists requesting a DAA Spokesperson to respond to a media enquiry, with a resulting reach of more than 284 million. Having 21 media-trained, professional spokespeople available to talk to the media is a key DAA strategy, helping to realize our vision of being the leader in nutrition for better food, better health and wellbeing for all. Firstly, the Communications and Marketing Cadet Dietitian (CMCD) will receive the request and gather details of the publication/media outlet and interview topic/questions to be asked. Then a Spokesperson is carefully selected to respond to the enquiry based on location, experience, areas of interest in nutrition and dietetics, and workplace (especially for quick turn-around times). The CMCD will develop DAA key messages on the topic to guide the Spokesperson during the interview. Regardless of the nature of the media request, DAA always aims to include a key message about seeing an Accredited Practising Dietitian for tailored, individual dietary advice. In forming key messages, DAA draws upon the Association’s suite of key messages where possible, but often media enquiries are on a new nutrition study, or a new fad diet, or a new ‘superfood’, where new key messages need to be developed. This is where the Spokesperson Program links with evidence. DAA utilizes the wealth of information in the PEN® knowledge database to develop comprehensive and accurate key messages for Spokespeople, to ensure they can communicate the latest scientific and evidence-based information. For example a journalist from Channel 7, (National television news) wanted to interview a spokesperson on the rise in food allergies and intolerances. The CMCD used the Food allergy in Adults Background in PEN and information from the Australian Society of Clinical Immunology and Allergy to develop messages on food allergies in adults and children. Another example is a recent media request from The Australian Women’s Weekly magazine where the journalist wanted an interview on caffeine. The CMCD used PEN’s suite of caffeine-related articles and resources to develop key messages for the interview. From a Spokesperson’s perspectiveSo... how do Spokespeople take advantage of the PEN® knowledge database to boost their messages? 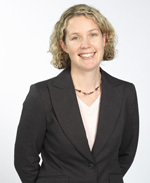 We asked DAA Spokesperson and Accredited Practising Dietitian (APD) Sonya Stanley to find out. 1. When would you use PEN to help you in media interviews? I use PEN® for topics when I want to quote evidence-based facts from the latest research. It is very easy to find an evidence summary or simply type in a key word search. I enjoy being able to look for research related to a specific demographic, for example research on children's breakfast habits versus adult’s habits. PEN® also clearly indicates the level of evidence. This is useful when talking about the strength and validity of a particular finding during media interviews. 2. What is the most unusual topic you have found information on in PEN®? One of the most interesting discussions I have come across is on children's fluid consumption of sports drinks. There are lots of facts to outline the best available evidence on critical variables including the duration of exercise, type of drinks and the findings for children compared with adults. 3. Which PEN resources are most helpful? I find the evidence summaries are excellent and the go-to place when preparing for a media interview using PEN®. The consumer resources are also of high quality, for example the easy-to-digest 'evidence on a page' from the National Obesity Observatory in the UK. It is fantastic to have access to a worldwide network of nutrition knowledge. In the current climate of fad diets and fad food products, I really enjoy being able to access well-researched nutrition information and resources. There is also the opportunity for DAA members to contribute using their own knowledge and research through review or authorship. Our spending habits and eating patterns reflect our individual lifestyles, social and economic situations, and have implications for public health and social policy. This was recognised in 1940 when it was proposed to conduct a national UK food survey; triggered by the apparent poor nutritional status of its population. Since then, the annual Family Food [survey] has continued to produce data that has been used to support and inform Government policy, as well as academic research, for diverse purposes. From monitoring the effects of wartime and post-war rationing to assessing consumer response to recent food price inflation, Family Food data provides insights into the way people live in the UK through the food they buy. Family Food is now the source of detailed statistical information on purchased quantities, expenditure and nutrient intakes; derived from both household and eating out food and drink. Data is collected for a sample of households in the UK using self-reported diaries, supported by till receipts of all purchases, including food eaten out, over a two week period. Where possible quantities are recorded in the diaries but otherwise estimated. Energy and nutrient intakes are calculated using standard nutrient composition data for each of some 500 types of food. In 2012 food price inflation continued to run higher than the general inflation rate in the UK, and has generally done so since. The biggest drivers to UK food price inflation are global commodity prices, exchange rates and oil prices. So consumers’ changing food purchases has been scrutinized during this time, particularly with those with the least to spend on food. All year-to-year changes are always assessed alongside longer term dietary trends. 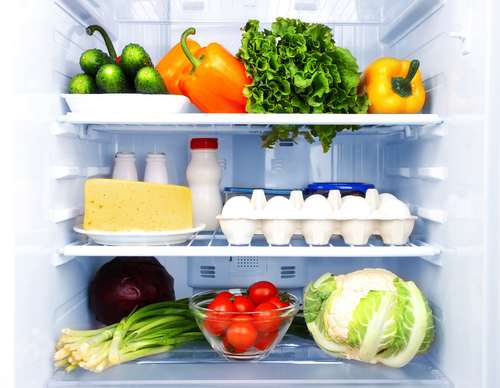 In 2013 average household expenditure on all food and drink was £42.18 per person per week. Taking inflation into account, this was 1.6% less than 2012 and 3.9% less than 2010. In the UK an average 11.4% of all household spend went on food in 2013. For the lowest 20% of households by equivalized income it was 16.5%. Purchases of various household food types are on a clear short term downward trends since 2010, including, carcass and non-carcass meat, potatoes, vegetables, bread, beverages and alcoholic drinks. Purchases of eggs are on a short term upwards trend in this period. Total energy intake per person was an average of 2192 kcal per person per day in 2012, 4.4% lower than in 2010. This is a statistically significant downward trend that confirms the longer-term downward trend already apparent since the mid 1960s. Intake is still around 5% higher than the Estimated Average Requirement. Energy intake from eating out was 220 kcal per person per day in 2013, 14.7% less than in 2010. Average energy intake from eating out accounted for 10% of total energy intake. All vitamin and mineral intakes except potassium reached at least 100% of the recommended minimum Reference Nutrient Intake. The average intake of sodium is on a downward trend but was still 79% of the recommended maximum Reference Nutrient Intake of 2.4 grams per day in 2013. The percentage of spend on food continues to be highest for low income households, at 16.5% in 2013. Food is the largest item of household expenditure for low income households, after housing, fuel and power costs. On average, UK households purchased 6.1% less food in 2013 than in 2007 while spending 20% more. Household food purchases do not generally match the Government recommended Eatwell Plate proportions of the types of food which make up a well-balanced diet. Purchases of soft drinks (not low calorie) are on a downward trend since 2010 and fell by 23% between 2010 and 2013. This was mirrored by an upward trend in low calorie soft drinks’ with household purchases 36% higher in the same period. Butter purchases have been increasing steadily over the last ten years, and were 6.1% higher than in 2010. While overall purchases of fruit and vegetables reduced between 2010 and 2013, consumers spent 6.7% more on fresh and processed vegetables and 9.2% more on fresh and processed fruit. Fibre intake in 2013 was unchanged in 2012, at an average of 14.4 grams per person per day. This was a 5.4% fall from 2010. The Committee on Medical Aspects of Food recommendation is for an average of 18 grams of fibre intake per person per day for adults. Since 2010 alcohol intake has been on a downward trend. Eating out purchases accounted for 22% of total alcohol intake in 2013. In 2013, eating out intakes of alcohol were 25% lower than in 2010 and showing a significant downward trend. The UK Government uses the results of these surveys and the trends seen to dictate its food policy. It aims to support the food industry and promote home grown and produced products, ensuring that the standards, safety and authenticity of the food eaten meets expectations, and promotes public health. The results, plus those of other UK-national surveys such as the National Diet and Nutrition Survey, are also used by those involved in national public health decisions. The policies that emerge manifest themselves to the general public most visibly in campaigns such as 5 A DAY and the Eatwell Plate, which aim to promote a healthy diet, and ‘Love Food Hate Waste’ which aims to illustrate how people can save money on their food bills and reduce the environmental impact of waste. As a dietitian, it is important to be aware of the general trends in food and nutrient intake and especially how changes in the price of food can affect vulnerable groups. We also need to be aware of how social class, age, and where people live affects their food choices. My advice, be it general public health or with 1:1 clients is coloured by my understanding of these bigger factors. Some of you may be aware of recent media reports in Australia and internationally around the controversial new book Bubba Yum Yum: The Paleo Way for New Mums, Babies and Toddlers. The book, authored by Australian celebrity chef Pete Evans, blogger Charlotte Carr and naturopath Helen Padarin, was dropped by publisher Pan Macmillan Australia at the eleventh hour – based on concerns raised by the Dietitians Association of Australia (DAA) and supported by the Public Health Association of Australia (PHAA). The booked was due to be released by Pan Macmillan on Friday the 13th of March. Despite serious issues with some of the content of the book (see below), DAA understands the authors have decided to independently release a digital version of the book, with a print version to follow. DAA is unsure whether any of the content will be altered by the authors prior to its release. However, the DAA has outlined these concerns directly to the authors, and the potential risks with some of the recipes have been widely reported through the media. This recipe (based on bone broth, chicken liver, a probiotic, coconut oil, cod liver oil and virgin olive oil) was promoted in the 0-6 month section of the book. While in the text the authors acknowledge breastfeeding as best, the book also stated: ‘(The DIY infant formula) is however a wonderful alternative and the next best thing when breast isn’t an option’. It became immediately obvious that there were key nutritional issues with the DIY infant formula, particularly around excessive Vitamin A, excessive protein, high iron levels, lack of calcium and missing nutrient declarations (including iodine, selenium and sodium). Carbohydrate: 0% of breast milk, and a range of other nutrients. The DIY infant formula is said to ‘mimic the nutrient profile of breast milk’, but the FSANZ analysis shows this is not the case. In addition, the World Health Organization and Australia’s National Health and Medical Research Council (NHMRC) state that breast milk is best for babies and that infant formula, commercially prepared using good manufacturing practices is the only suitable substitute if breast milk is not available. Another problem relating to the DIY infant formula is the lack of instructions in the book for parents around preparing and storing the formula, and around how much to feed babies. A wider, overarching problem is that the cookbook (targeting parents with babies and toddlers) is based around the Paleo Diet. Few studies have been published examining the benefits (and risks) of the Paleo Diet in adults and none examining the effects in children, let alone babies or toddlers. 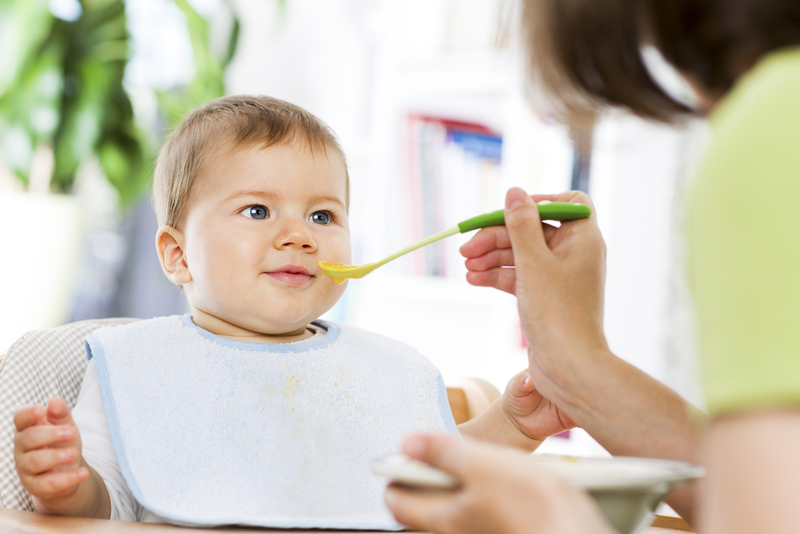 Other, more specific problems with the cookbook include the use of ingredients that are not recommended for infants within the first 12 months of life due to microbiological risks – such as honey (due to botulism risk) and runny eggs (due to salmonella risk). DAA consulted with the New South Wales (NSW) Food Authority on these issues, and provided information from this organization to Pan Macmillan. On 16 March, DAA learnt that Pan Macmillan had decided not to publish Bubba Yum Yum, in any format. This means the book will not be available to purchase in Australia through major book retailers. DAA is pleased the publisher took the concerns raised by the Association seriously, on the grounds of public safety. In the lead-up to this decision, DAA led contact with Pan Macmillan, through written communication and a face-to-face meeting, on behalf of all of the health agencies involved. Importantly, DAA alerted the Ministerial Office of the Federal Minister for Health Australia, the Hon Sussan Ley, about the Association’s concerns with the book, through a letter co-signed by the PHAA and the ABA. DAA understands the Department of Health has been closely scrutinizing the book and is investigating it further. In reporting on the issues around Bubba Yum Yum, many media outlets have mentioned issues around self-appointed ‘experts’ (including celebrities) providing nutrition and health advice to the Australian public. Several key Australian journalists have raised issues around duty of care for book publishers when taking on books containing dietary advice, not backed by evidence. DAA believes these are good outcomes. We will ‘watch this space’ and continue to keep members informed on this important area. 25 Raising Our Healthy Kids Videos are Available! Are you looking for open access, short, high quality evidence-based videos on healthy living to support families with children? Raising Our Healthy Kids is a series of short 60 – 90 second videos providing information to parents and care providers on healthy growth and development of children up to 12 years of age. The first 25 videos are now available and focus on healthy eating and the feeding relationship. Additional topics to be released in the next six months will focus on active living and play; positive parenting; oral health; and mental health promotion. There will also be videos that provide an Aboriginal context and some will be translated into French. They are available to the public online here. The videos were developed by a multi-stakeholder group including Dietitians of Canada and Alberta Health Services (AHS) and with input from physicians and community stakeholders across Canada. 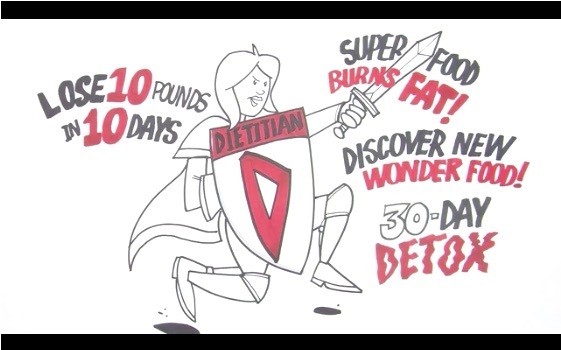 The nutrition videos are consistent with evidence in PEN® and key messages from Dietitians of Canada and Alberta Health Services. Funding was provided by Government of Alberta, Calgary Health Trust, and Canadian Institutes of Health Research, and the videos were produced by Shadow Light Productions. Financial support for French translations provided by EatRight Ontario. Our global PEN® partnership has benefited from volunteer efforts around the world. Please take a moment to read and acknowledge your colleagues who have served as authors, or peer reviewers for PEN® content since December 2014. In March, PEN® offered its first webinar Producing PEN® Pros: 10 Tips and Tools to Power your Practice. Over 450 people from countries around the world registered for this webinar, including Australia, the UK, Ireland, and Canada! 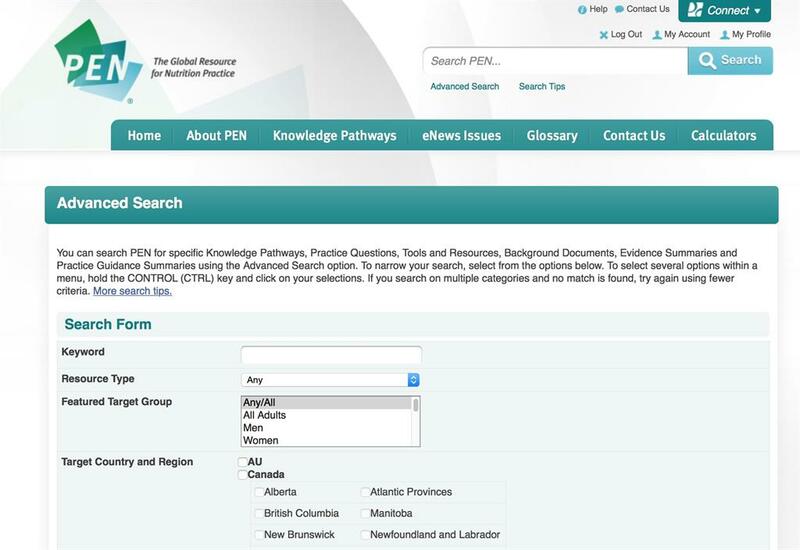 how to quickly sort through the various resources in the PEN® knowledge database. Participants, including long-time PEN® users, told us that they walked away learning about new features to help them use PEN® more efficiently. 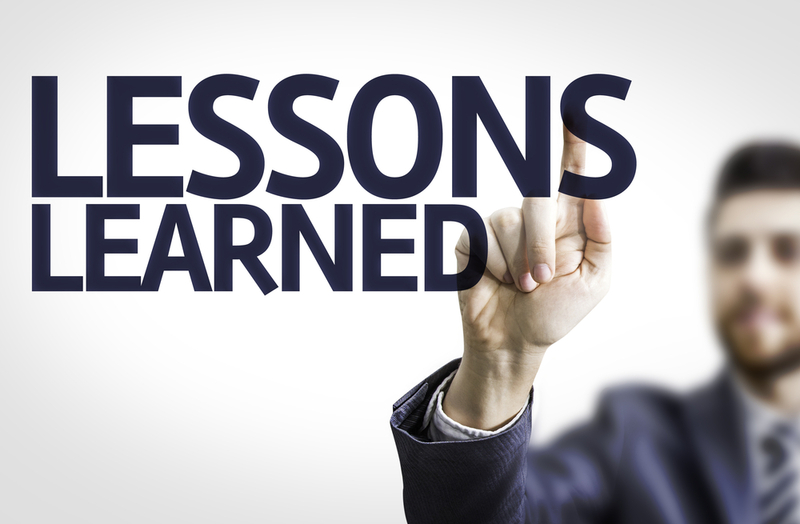 If you missed the webinar, don’t despair! We recorded it! To access the recorded webinar link, click here. We will post a FAQ document on our PEN® Community Page to help answer your questions. where we have launched our storyboard video which shares our story of how we have grown to become a global resource for nutrition practice. Come by our page and watch our storyboard video. An examination of the nutrient content and on-package marketing of novel beverages. National Nutrition Month 2015 gets Eating Well at Work on everyone’s agenda!